Jesus Himself, in answering His disciples concerning the signs of His coming and of the end of the world, said it would be “as the days of [Noah] were” (Matthew 24:37). The implication is, just as it was before the Flood when the spirits of Nephilim were powerful upon earth (Genesis 6:4), mankind would experience an end-times renaissance of the influence of these entities. From Scripture we are made to understand the purpose of this latter-day wave of supernaturalism includes deception (2 Timothy 3:13), and the effect upon mankind would be so successful that heresy and delusion would become firmly entrenched—even within institutionalized Christianity. In writing of this scenario, Paul prophesied to Timothy that “in the latter times, some shall depart from the faith, giving heed to seducing spirits, and doctrines of devils” (1 Timothy 4:1). Based on contemporary developments, the foretold increase in demonism and its influence within secular and religious society is rapidly unfolding this century—abruptly, dramatically, and suspiciously. Biblical scholar Gary Stearman agrees, stating in disturbing language how the manifestation of these powers are quickening now because the world is under conditions “in which the influence of God’s Holy Spirit is diminishing.”[i] This is apparent not only in metaphysics, but within science and technology, where genetic engineering and transhumanist aspirations seem literally hell-bent on repeating what the Watchers did in giving birth to the spirits of Nephilim as in the days of Noah. According to Enoch, two hundred of these powerful angels departed “high heaven” and used women (among other dna providers) to extend their progeny into mankind’s plane of existence. The Interlinear Hebrew Bible (ihn) offers an interesting interpretation of Genesis 6:2 in this regard. Where the King James Version of the Bible says, “The sons of God saw the daughters of men that they [were] fair,” the ihn interprets this as, “The [b’nai ha Elohim] saw the daughters of Adam, that they were fit extensions” (emphasis added). The term “fit extensions” seems applicable when the whole of the ancient record is understood to mean that the Watchers wanted to leave their proper sphere of existence in order to enter earth’s three-dimensional reality. They viewed women—or at least their genetic material—as part of the formula for accomplishing this task. Departing the proper habitation that God had assigned them was grievous to the Lord and led to divine penalization. Jude described it this way: The “angels which kept not their first estate, but left their own habitation, He hath reserved in everlasting chains under darkness unto the judgment of the great day” (Jude 6). gorgons, nymphs, Minotaurs, and other genetic aberrations. All of this seems to indicate that the Watchers not only modified human dna during the construction of Nephilim, but that of animals as well, a point the Book of Enoch supports, saying in the seventh chapter that the fallen angels “sinned” against animals as well as humans. Other books such as Jubilees add that this interspecies mingling eventually resulted in mutations among normal humans and animals whose “flesh” (genetic makeup) was “corrupted” by the activity, presumably through crossbreeding (see 5:1–5; 7:21–25). Even the Old Testament contains reference to the genetic mutations that developed among humans following this time frame, including “men” of unusual size, physical strength, six fingers, six toes, animal appetite for blood, and even lion-like features (2 Samuel 21:20, 23:20). But of all the ancient records, the most telling extrabiblical script is from the Book of Jasher, a mostly forgotten text referred to in the Bible in Joshua 10:13 and 2 Samuel 1:18. Jasher records the familiar story of the fall of the Watchers, then adds an exceptional detail that none of the other texts is as unequivocal about, something that can only be understood in modern language to mean advanced biotechnology, genetic engineering, or “transgenic modification” of species. After the Watchers had instructed humans “in the secrets of heaven,” note what Jasher says occurred: “[Then] the sons of men [began teaching] the mixture of animals of one species with the other, in order therewith to provoke the Lord” (4:18). The phrase “the mixture of animals of one species with the other” does not mean Watchers had taught men hybridization, as this would not have “provoked the Lord.” God made like animals of different breeds capable of reproducing. For example, horses can propagate with other mammals of the equidae classification (the taxonomic “horse family”), including donkeys and zebras. It would not have “provoked the Lord” for this type of animal breeding to have taken place, as God Himself made the animals able to do this. If, on the other hand, the Watchers were crossing species boundaries by mixing incompatible animals of one species with the other, such as pig dna with humans like science is doing today, this would have been a different matter and may cast light on the numerous ancient stories of mythical beings of variant-species manufacturing that fit perfectly within the records of what the Watchers were accomplishing. Understandably, this kind of chimera-making would have “provoked the Lord,” and raises the serious question of why the Watchers would have risked eternal damnation by tinkering with God’s creation in this way. Yahweh had placed boundaries between the species and strictly ordered that “each kind” reproduce only after its “own kind.” Was the motive of the Watchers to break these rules simply the desire to rebel, to assault God’s creative genius through biologically altering what He had made? Or was something of deeper significance behind the activity? While we believe the theory of dna corruption as an intended method for halting the coming of Christ has merit, an alternative or additional reason the Watchers may have blended living organisms exists in a theory we postulated in our book, ZENITH 2016: DID SOMETHING BEGIN IN THE YEAR 2012 THAT WILL REACH ITS APEX IN 2016? In that book, we speculated that the manipulation of dna may have had a deeper purpose—namely, to create a hybrid form that neither the spirit of man nor God would inhabit because it was neither man nor beast, and thus provided an unusual body made up of human, animal, and plant genetics known as Nephilim, an earth-born facsimile or “fit extension” into which the Watchers could extend themselves. The ramifications of using science to revive extinct animals or Nephilim could extend beyond cloning to include a mysterious germ-line connection with the armies of Armageddon and the kingdom of Antichrist. This is because as interbreeding begins between transgenic animals, genetically modified humans, and species as God made them, the altered dna will quickly migrate into the natural environment. When that happens (as is already occurring among genetically modified plants and animals), “alien” and/or animal characteristics will be introduced to the human gene pool and spread through intermarriage, altering the human genetic code and eventually eliminating humanity as we know it. 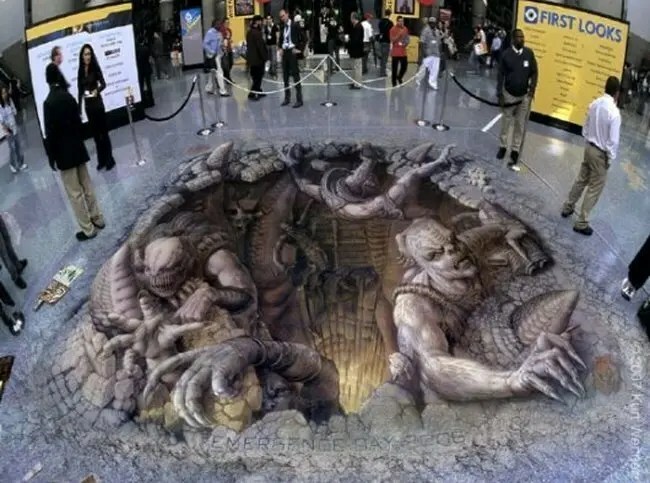 According to many theologians, this is what happened before the Great Flood, allowing for Nephilim incarnation and perhaps has been the whole idea for the end times as well—to create a generation of genetically altered “fit extensions” for the resurrection of underworld Nephilim hordes in preparation of Armageddon. 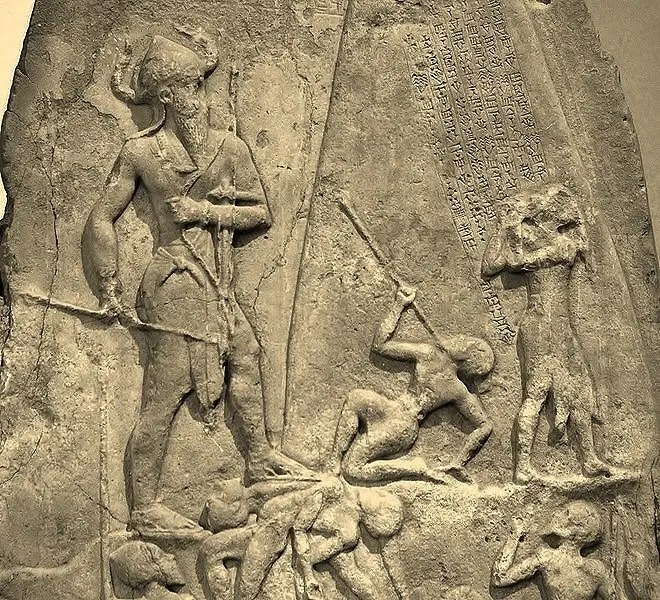 The well-known prophecy in the second chapter of the book of Joel also includes reference to returning gibborim (giants, Nephilim offspring). Though expositors tend to view Joel describing an army of locusts, he includes gibborim in his descriptions in the phrase “they shall run like mighty men [gibborim].” Does this mean something besides the fact that grasshoppers will be involved in Joel’s end-times army? Another expression Joel uses—“the appearance of them is as the appearance of horses; and as horsemen, so shall they run”—sounds like the last-days locusts and transgenic horse-men mutations in Revelation 9:7–19. When all such texts are added up, there is persuasive evidence that the massive gibborim army that runs upon the wall from which nobody can escape could be the result of man’s willingness to play “god” in reviving forbidden science and opening “gates” to gibborim lurking in the beyond. Does a curious verse in the book of Daniel also hint at this? Speaking of the last days of human government, Daniel said: “They shall mingle themselves with the seed of men: but they shall not cleave one to another, even as iron is not mixed with clay” (Daniel 2:43). While Daniel does not explain who “they” that “mingle themselves with the seed of men” are, the personal pronoun “they” caused Chuck Missler and Mark Eastman, in their book, Alien Encounters, to ask: “Just what (or who) are ‘mingling with the seed of men?’ Who are these non-seed? It staggers the mind to contemplate the potential significance of Daniel’s passage and its implications for the future global governance.”[iii] Daniel’s verse also troubled Missler and Eastman because it seemed to indicate that the same phenomenon that occurred in Genesis chapter 6, where nonhuman species or “nonseed” mingled with human seed and produced Nephilim would happen again in the end times. When this verse from Daniel is coupled with Genesis 3:15, which says, “And I will put enmity between thee and the woman, and between thy seed [zera, meaning “offspring,” “descendents,” or “children”] and her seed,” an incredible tenet emerges—that Satan has seed, and that it is at enmity with Christ. One cannot read the conclusion by Pauwells and Bergier regarding Hitler’s antichrist ambition without seeing how it corresponds perfectly with the goals of transhumanism, even to the connection of creating posthuman bodies fit for deity incarnation through genetic engineering. [i] Gary Stearman, “The Extraterrestrial Question,” Prophecy in the News (March 2010) 10. [ii] Hendrik Poinar, “Recipe for a Resurrection,” National Geographic (May 2009) http://ngm.nationalgeographic.com/2009/05/cloned-species/Mueller-text). [iii] Chuck Missler and Mark Eastman, Alien Encounters (Coeur d’Alene, ID: Koinonia House, 1997) 275. [iv] Louis Pauwells and Jacques Bergier. The Dawn of Magic, first published in France under the title Le Matin des Magiciens, (Paris: Editions Gallimard) 68.